Healthy Easter Treats: Six Awesome Recipes | The Free From Fairy. I love Easter and the promise of spring but I do find the whole chocolate feasting thing an issue. Every year I try to avoid the sugar highs (and lows!) but it is challenging. The kids get given numerous chocolate eggs and I always have the dilemma of whether to let them eat them all at once or eek them out for months. This year the children have given up sugar for a few weeks in the lead up to Easter. It has been a useful exercise if only to show them that they can do it. I’ve been so proud of them when they’ve come out of school clutching a sweet or chocolate they’ve been given. Their will power has been incredible. The trouble is, as soon as Easter is upon us the sugar feasting will start. 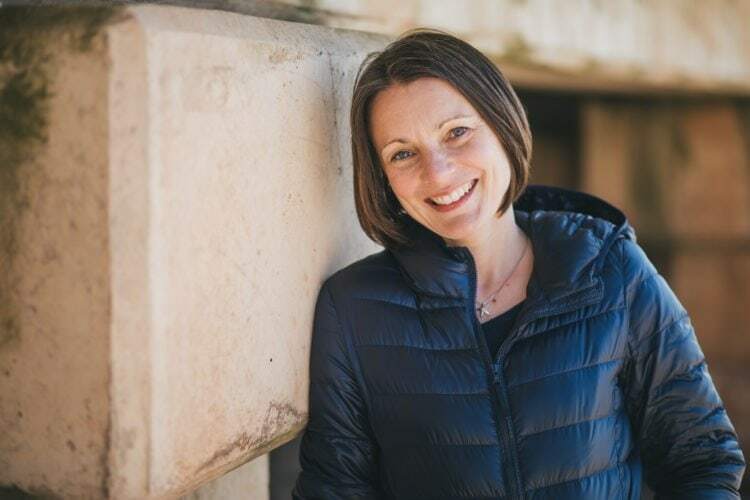 Emma from Free From Farmhouse wrote a great article last year listing 35 non food Easter treats. It works for those kids with allergies and intolerances as well as reducing the sugar load. Not only that but the gifts actually last beyond Easter. This year I’ll be giving the kids a non food gift, but I’ll also be making some healthy Easter treats. Over the years I’ve created a whole host of Easter recipes, most of them lower in sugar than your traditional Easter recipes. These healthy Easter treats are a great alternative to shop bought ones and nobody will feel like they’re missing out. Wholesome Easter Biscuits. These biscuits are delicious and short and sweetened with a little rice syrup. 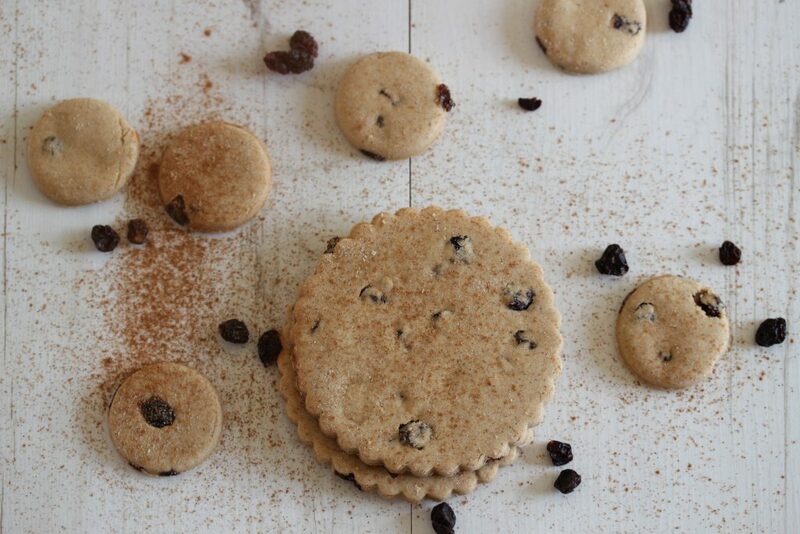 They are made with my wholegrain rice-free and gluten-free flour blend. Easter Tea Loaf. I made this loaf a few years ago when I was experimenting with milk kefir. Milk kefir is a fantastic natural probiotic, providing your body with the bacteria & yeast it needs to maintain a healthy gut and immune system. 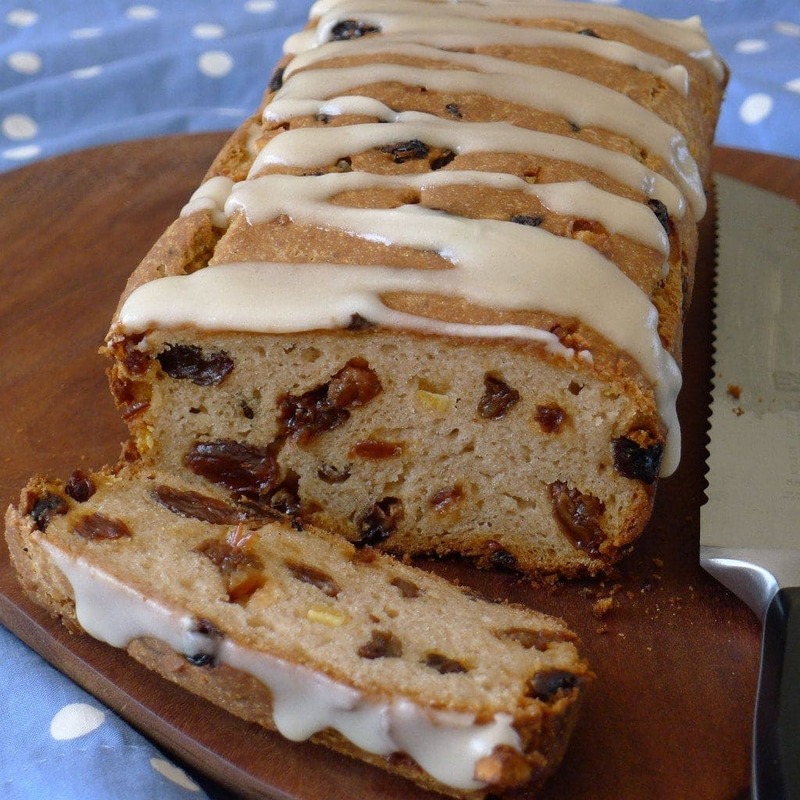 The yeast in the kefir is what makes this loaf rise and the result is a fantastic healthy Easter treat with a little honey and the dried fruit for sweetness. 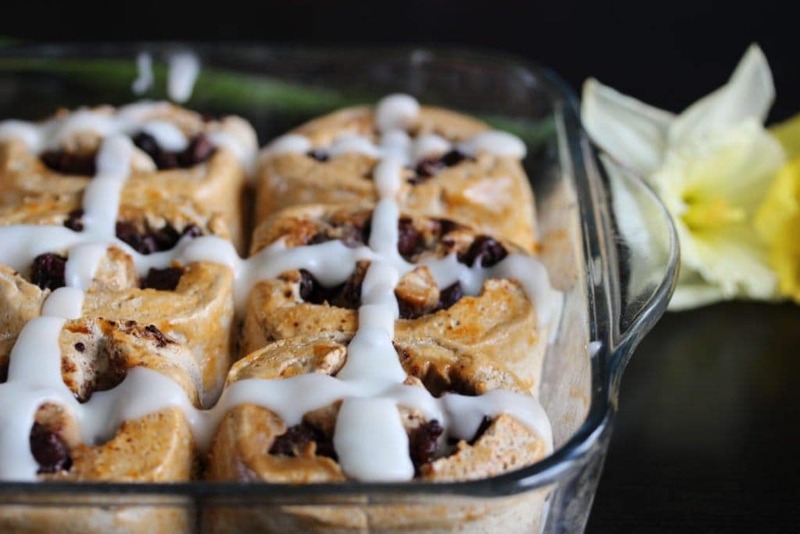 Hot Cross Bun Chocolate Rolls. This is one of my favourite healthy Easter treats. Rather like a cinnamon bun but an Easter version filled with good quality dark chocolate. Again, it’s made with my wholegrain rice-free and gluten-free flour blend providing additional nutrients to the bake. Healthy Homemade Chocolate & Easter Eggs. This is a great way to make a healthy Easter treat without resorting to the high sugar shop bought eggs. Make your own chocolate and fill it with my delicious strawberry cashew cream. Hot Cross Buns. 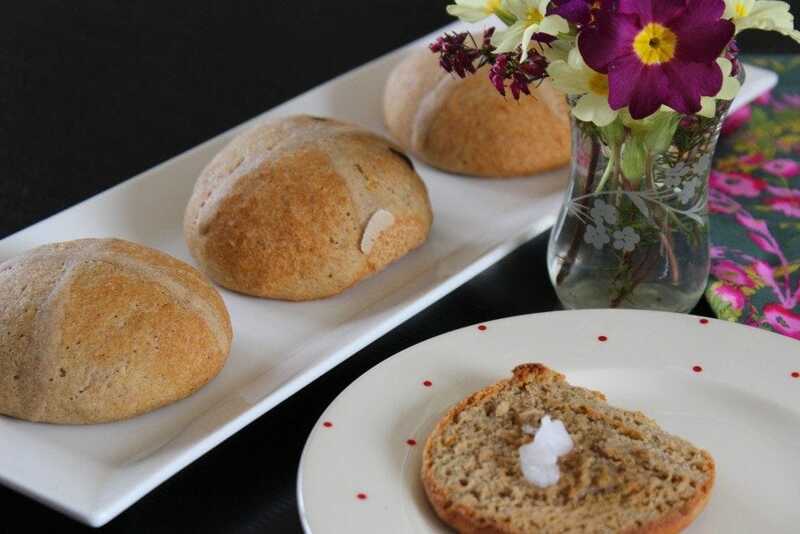 This version of hot cross bun is sweetened with rice syrup and skips the dried fruit in favour of dark chocolate chunks for a lower fructose hit. Perfect for any dried fruit haters out there! Raw Chocolate Truffles. 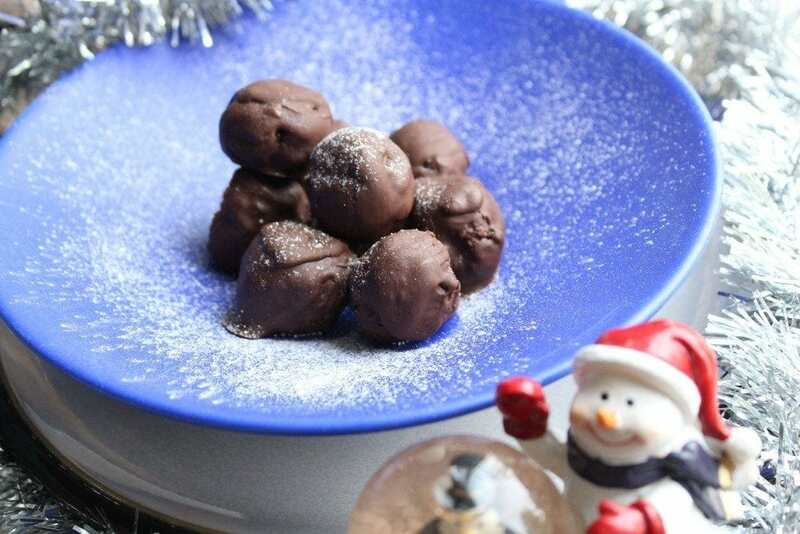 ‘Roo’ created these truffles for Christmas one year, but they are actually perfect for Easter too. 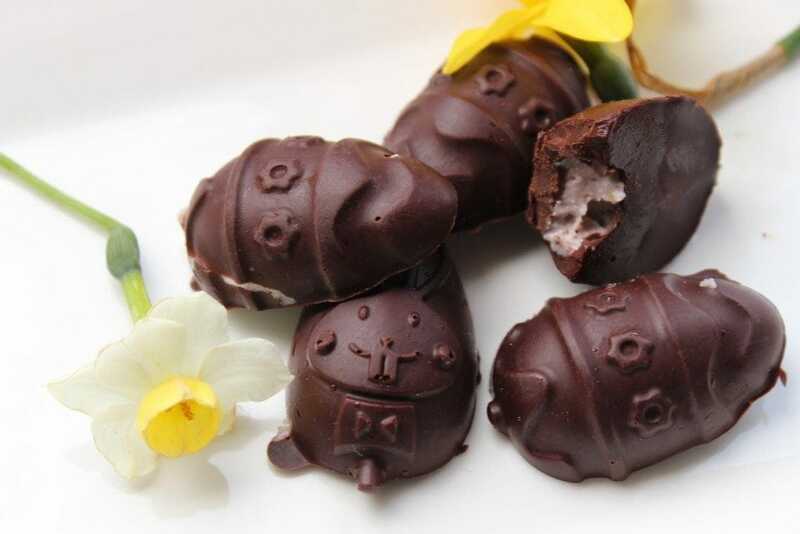 They are made from dried fruit and nuts coated with a little dark (sugar-free) chocolate. Have a fabulous happy and healthy Easter. Do let me know what healthy Easter treats you’ll be making this year. Pin this article so you don’t lose it!